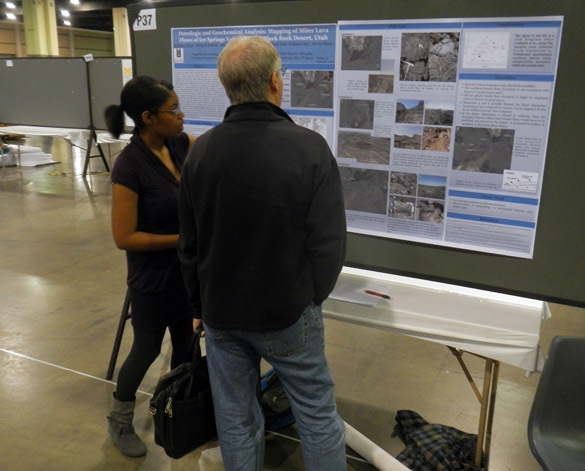 CHARLOTTE, NC – Five Wooster geologists presented their work on day three of the conference. Whitney Sims (’13) presented her IS on the emplacement of lava flows in the Ice Springs Volcanic Field (Team Utah). Here is her abstract. 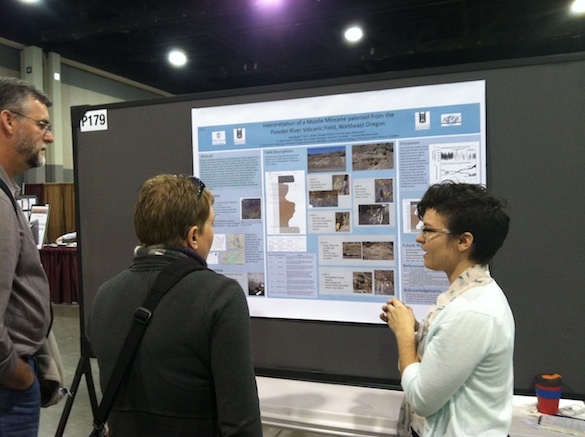 Anna Mudd (’13) presented her work on a Middle Miocene paleosol from the Powder River Volcanic Field (northeast Oregon). Here is her abstract. 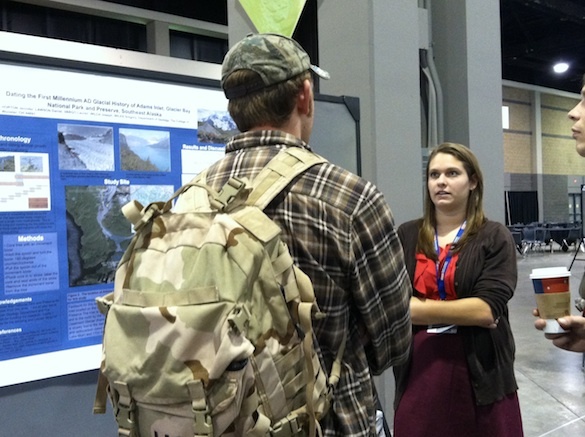 Jenn Horton (’13) answered questions about her study of the glacial history of Adams Inlet in Glacier Bay National Park and Preserve (southeast Alaska). Here is her abstract. 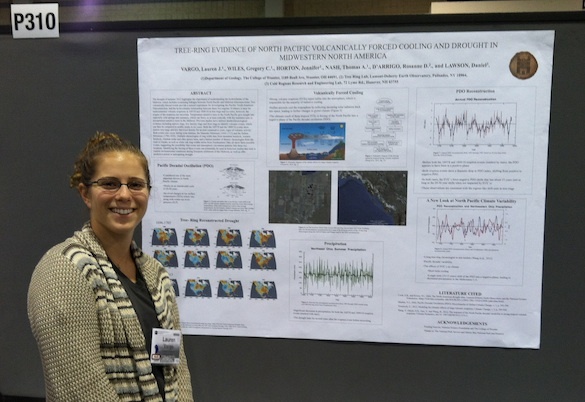 Lauren Vargo’s (’13) poster described how she used tree rings to understand North Pacific volcanically forced cooling and drought in midwestern North America. Here is her abstract. 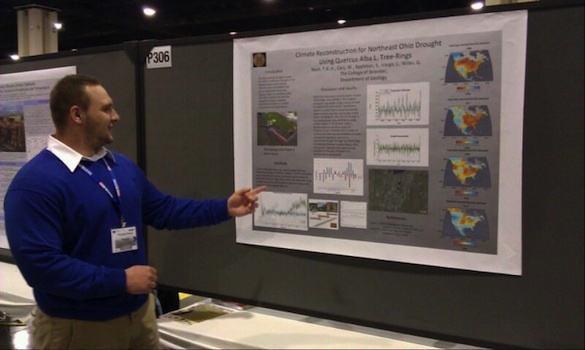 Andy Nash (’14) showed how he used tree rings to investigate drought in northeast Ohio. Here is his abstract. Tomorrow is the last day of the conference, when we’ll get to see the final two talks and two posters. go tree lab + whitney and anna!